In order to get started to Chamasoft, you must be registered. This enables you to enjoy all the Chamasoft features. Visit our website: https://chamasoft.com from your web browser. This shows the Chamasoft homepage as displayed above. 2. 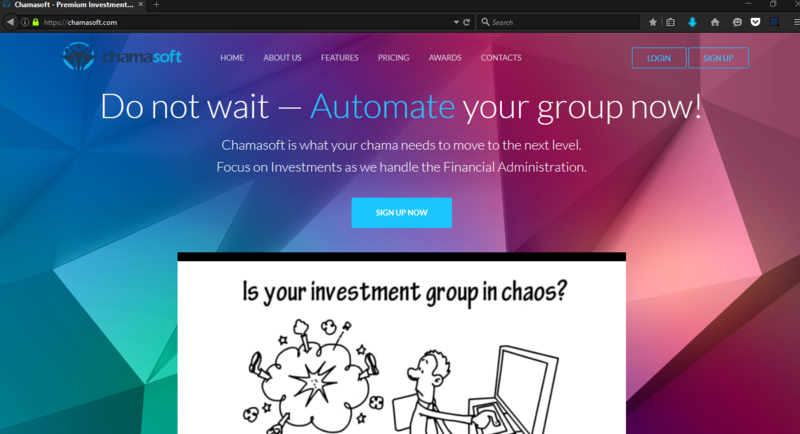 From the right side, click on Sign Up to create a new Chamasoft account. This will take you to the signup page below. Click on SIGN UP below to create an account. This takes you to another interface where you need to activate your account. An activation code is sent to your phone and/or your email address. 4. 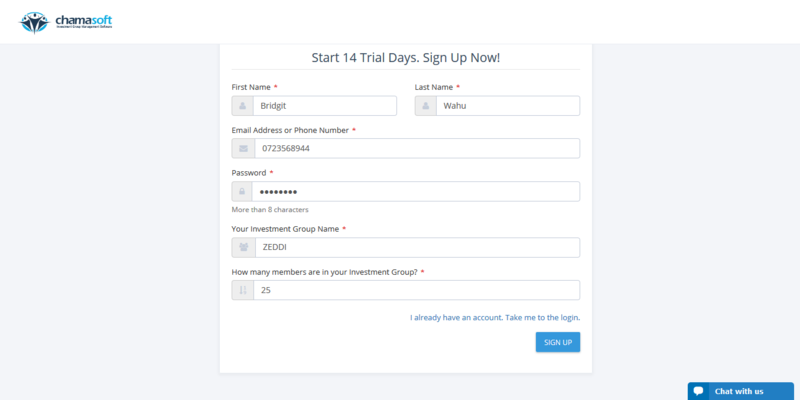 Activate your Investment Group Account. Kindly enter the activation code sent in step 4 above and click on ACTIVATE ACCOUNT to make your account active. After Activating your Account you are automatically directed to your Investment Group Dashboard as shown below. You are also awarded with a 14 days trial after which you can opt to pay a regular subscription charge. Well Done! You have successfully created and activated your Investment Group Account.